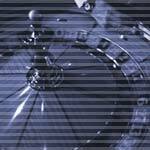 There are two varieties of roulette, European Roulette (also known as French) and US Roulette. We've included the rules for European Roulette below. If you'd like to know why we haven't listed the rules for US Roulette, please visit our Roulette Bets - Summary in Our Tips. The game of European Roulette is played by spinning a small ball on a round wheel with thirty-seven numbered slots. When the wheel stops, the ball comes to rest in one of these slots. The object of European Roulette is to correctly predict the slot in which the ball will land. By predicting the right number, you earn a payoff on your bet. The size of the payoff depends on how the bet was placed. Your chips are stacked by denomination (£1, £5, £25, £100, £500) Select the amount you would like to wager on a given hand by clicking the left mouse button on the chip of that denomination. To place a bet in European Roulette, place your chips on the table as described above. Depending on where you choose to place your chips, you can cover (bet on) anywhere from one to eighteen numbers with a single bet. Once a spin is complete, the winning number will be noted on the table with a marker. Winning bets will have a W chip or small token / marker placed on top of them.